Lucinda Axelsson is a TV executive producer with a career in TV which spans 3 decades making ground breaking and award winning shows, including Blue chip Natural History, in countries as diverse as Brazil, New Zealand and Japan, and popular, high rating and award winning series including Meerkat Manor, Spy in the Wild, Planet Earth Live. She has produced a number of shows filmed in and around the poles including Snow Chick (a dramatized story about the life of an emperor penguin chick), Snow Wolf Family and me, (filmed with the Arctic Wolves of Ellesmere Island), Earths greatest Spectacles: Svalbard (about the amazing seasonal change from white to green in this extraordinary region) and Life in the Snow with Gordon Buchannan (a look at how animals are perfectly adapted to life in sub-zero climates). 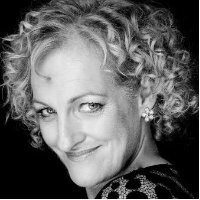 Lucinda has worked for all the main UK broadcasters as well as Sky, Discovery and PBS in America, and has won awards including an international Emmy, and numerous Royal Television Society and Wildscreen awards. Her love of travelling and deep curiosity about indigenous peoples, human culture and different lifestyles inspired her to take a degree in Archaeology and Anthropology at Cambridge University, subjects she has drawn on throughout her working life.